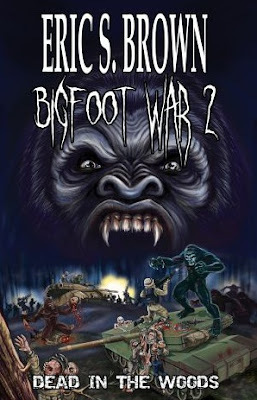 Jeff Taylor was an ordinary boy growing up in the small town of Babble Creek, North Carolina, until one night his life was changed forever when a sasquatch brutally murdered his family. Taylor fled the town, hoping to leave the painful memory behind. Years later, after two tours of duty in the Iraq War, he's back in Babble Creek seeking vengeance. One of the problems with reviewing a book is trying not to give too much away in the process, so I'll try my best not to do so and try and still give you an insightful review at the same time. I have a confession, to those of you who don't know... I'm a HUGE Bigfoot fan. I've watched countless documentaries, read many books and even watched films based on the legend of the beast. I couldn't tell you why I have this obsession but it's there and when I was asked to review this book based on the beast, I leapt at the chance. 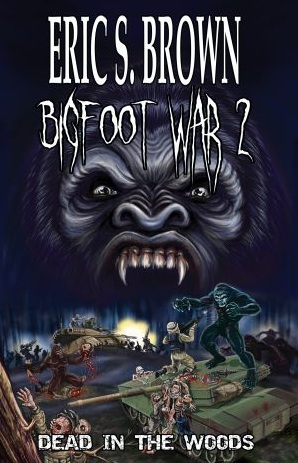 The legend of Bigfoot ranges from being a blood hungry, violent monster to a soft giant who want's to be left alone. 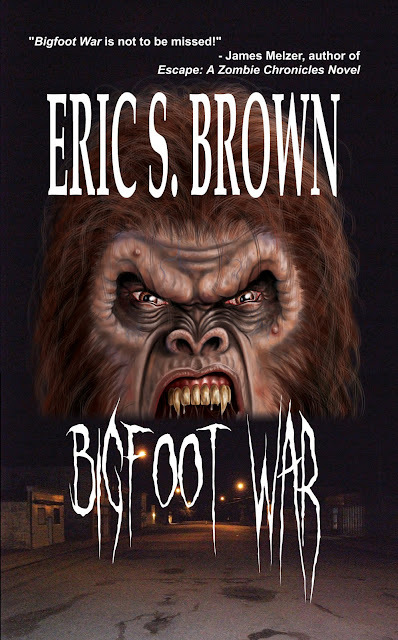 Fortunately for us, writer Eric S. Brown has gives us a brutal, fast, stronger than you can imagine bunch of monsters, which makes for reading. 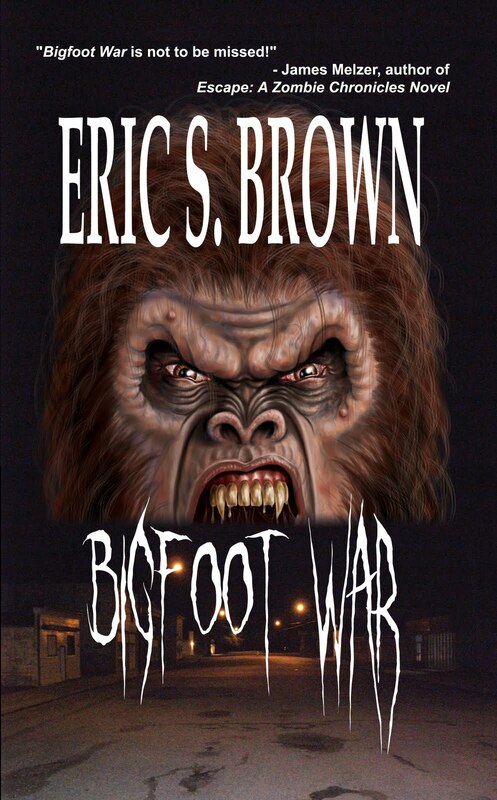 Eric S. Brown wrote the book based on nightmares he had of the the beast since early childhood, some of the best stories have come from such dreams and that gives them more of an eerie feeling as we've all had similar dreams ourselves, I know I have. He lives in North Carolina, US, which is home to most of the sightings of the beast. 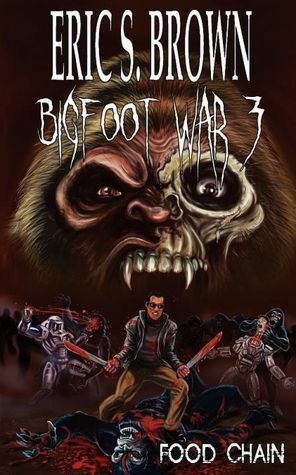 You could easily see this becoming a movie franchise or even a TV series, it's easily transferable but for now I'll settle for the books and I can't wait to continue the story and see what unfolds with "Bigfoot War 2: Dead In The Woods" and "Bigfoot War 3: Food Chain". Like I stated before I don't want to reveal all the surprises the story has in store for you so this review may seem a little shorter than usual but it certainly is a must read. If you want to purchase this amazing story then just click the link HERE. 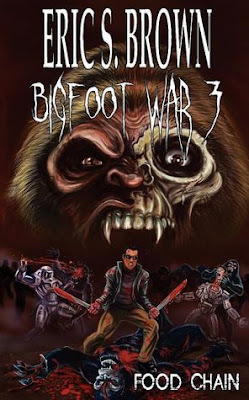 If your a Bigfoot fan like me you won't be disappointed!